"This is an unfortunate consequence of the judge's ruling," Hogan said. "Once we ultimately prevail in this legal challenge … then beneficiaries will have access to these optional services." 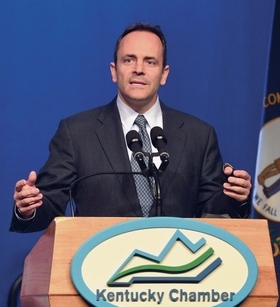 "We call for thoughtful discussions involving the administration and the many statewide stakeholders in the path forward in assuring Kentucky's working families have healthcare," Jenkins said in a statement. The federal healthcare law championed by former President Barack Obama gave states the option of expanding Medicaid coverage to able-bodied adults. Kentucky, under former Democratic Gov. Steve Beshear, was one of 32 states that did so, and nearly 500,000 Kentuckians got Medicaid coverage as a result.